Yesterday, 7th of June was quite an exciting day in the world of Windows Azure. A lot of new features were announced like IaaS, support for Non-Windows Operating Systems, Windows Azure Websites etc. etc. [I could go on-and-on with the new features]). Check out Windows Azure website at https://www.windowsazure.com for more details. 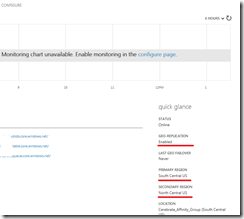 I wrote a blog post yesterday summarizing some of the changes to the Windows Azure Service Management API. You can read this post here: http://gauravmantri.com/2012/06/07/updates-to-windows-azure-service-management-rest-api/. I’m still waiting for the changes to Storage Management REST API. I briefly saw some changes on the documentation site on MSDN but today when I went back, those changes were reverted back. I’m guessing that they will be releasing those changes soon. In the meantime, I do want to talk about two important changes that are done to Windows Azure Storage. In this blog post we’ll cover those two changes. Yep! It’s not a typo . Transaction prices are indeed lowered by 90%. Earlier you would pay $0.01 per 10000 transactions. Now you would pay $0.01 per 100000 transactions. IMHO, this is huge. Storage was cheap earlier, now it has become dirt cheap. When it comes to storage, I think this is a game changer and I suspect other cloud vendors will follow suit (I think they are left with no choice really). I would expect an email from Amazon stating pricing cut within a week or so. Pricing is a very volatile thing and we have seen it changing a lot over a period of time. To know about the most latest pricing, please refer to Windows Azure Pricing details page: http://www.windowsazure.com/en-us/pricing/details/. One of the things that was included in yesterday’s announcement was geo-replication of storage data for better redundancy and high availability. Rest of the blog post will be focused on this feature only. Geo-replication feature of Windows Azure Storage allows you to store your storage data in two different data centers for improved redundancy and high availability in case of disaster. My guess is that Windows Azure always geo-replicated your data [they would have to do this for disaster recovery (DR) purposes, right? ], but now they are giving some control to you for this feature. Locally Redundant Storage (LRS) – provides highly durable and available storage within a single sub region. Geo Redundant Storage (GRS) – provides our highest level of durability by additionally storing your data in a second sub region within the same region. Only blobs and table data is geo-replicated. Queues are not geo-replicated and I’m not so sure about SQL Azure. As mentioned above, you would want to opt for GRS if you think your data is important and must be available at all times even in the cases of major disaster. Geo-replication comes at a cost to you. At this time, GRS pricing is about 34% more than LRS pricing. So you will have to be careful which storage account’s data you would want to geo-replicate. From what I have read so far, as of now you as a customer don’t get to decide the secondary location where your storage data will be replicated to. You only specify whether you want your data to be geo-replicated or not. From what I know so far, your secondary data center will be in the same region as your primary storage account region. For example, if your storage account is in “North Central US”, your geo-replication data center will be one of the remaining data centers in the US. I believe this is done to abide by data protection laws and for improved performance. By default, when you create a storage account your data will be geo-replicated. Also all your existing storage accounts are geo-replicated by default. This is very important to understand as this could have huge pricing impact. I’ll talk more about it below. From what I know so far, Windows Azure reserves the right to switch access to geo-replicated storage from primary storage. They would do so only in case of “Catastrophic” failure of primary data center. From what I know so far, you don’t get access to geo-replicated storage data (not even read-only) unless geo-replicated data becomes the primary data. As mentioned above, GRS costs you more (about 34% more than LRS). Furthermore, all of your existing storage accounts are geo-replicated by default. So while you’re rejoicing about the fact that transaction cost has gone down by 90% your storage cost has actually gone up by 25%. Also any new storage account you create, by default geo-replication is turned on. 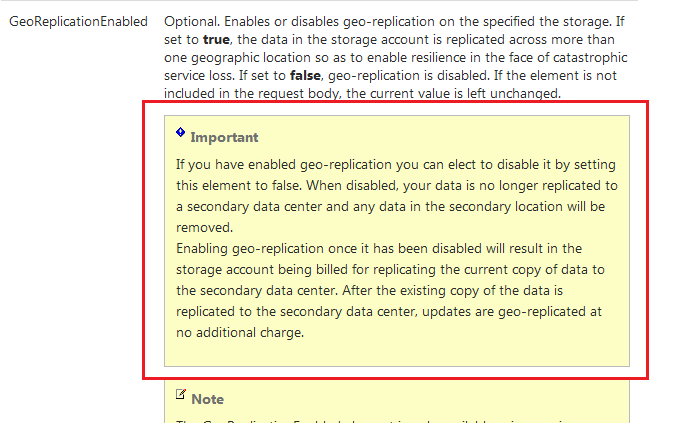 However you can turn geo-replication off at the time of storage account creation (more on this below). So you would need to be careful as to for which storage accounts you would want data to be geo-replicated. For example, if you have a storage account which only stores say some test data or diagnostics data, you may not want that data to be geo-replicated. 1. 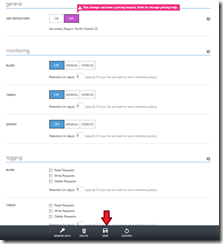 Login to Windows Azure Portal using your Live ID. 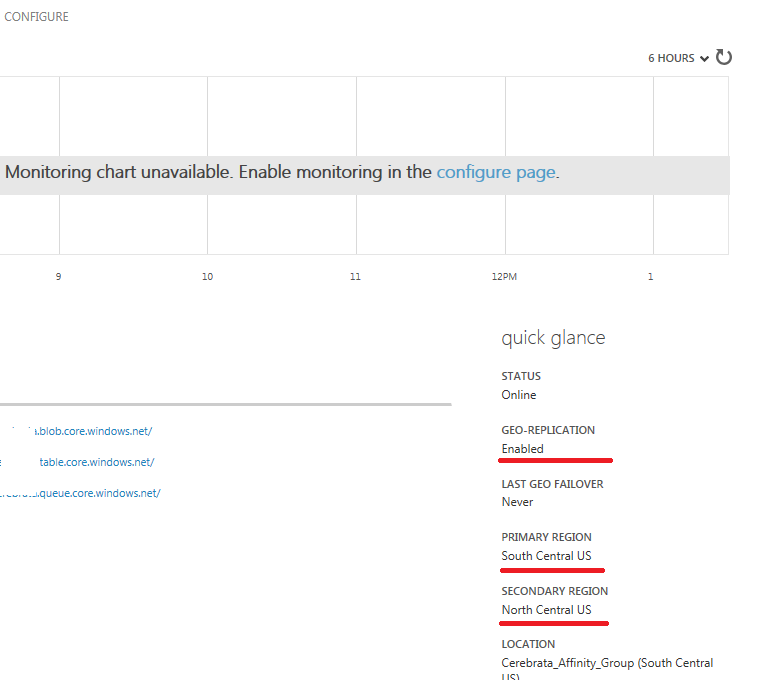 The new URL for the portal is https://manage.windowsazure.com. 2. Click on “New” button at the bottom of the screen. 3. In the menu that shows up, click on “Storage”. 4. Fill all the necessary details. However, please ensure that the checkbox for “Enable Geo-Replication” is unchecked. As you can see from the screenshot below, it is checked by default. 5. Now when you create this storage account, it’s data will not be geo-replicated. 4. 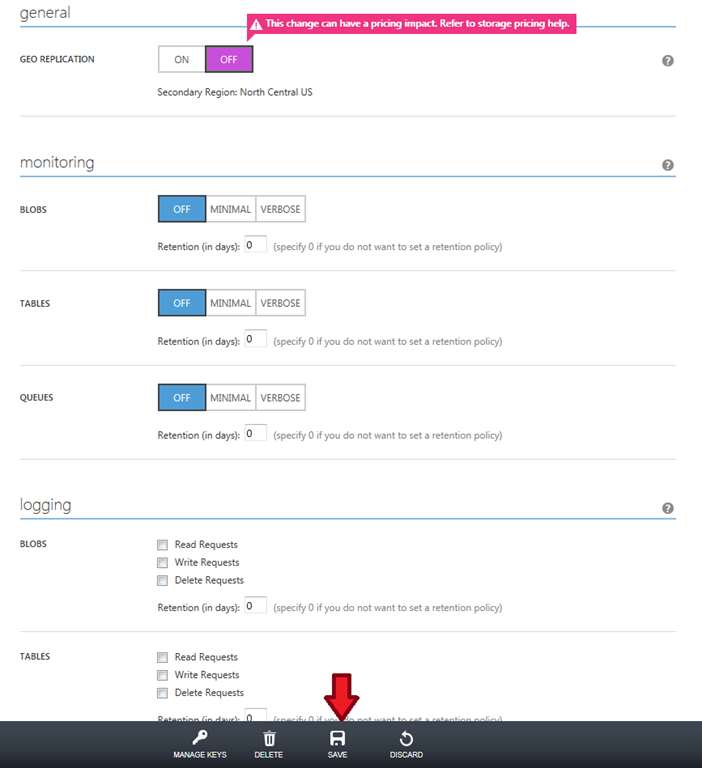 Click on “CONFIGURE” link up on top and toggle the GEO REPLICATION button from “ON” TO “OFF”. 5. Make sure that you hit the “SAVE” button below to save this change. 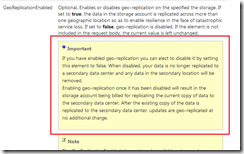 So the procedure for enabling geo-replication on a storage account is same as that for disabling as described above. However it comes with somewhat steep price. Storage transactions (both at the primary and secondary locations). Data transfer fees. Since the data is going out from primary location to a secondary location, it would be considered as “Data Egress” and hence you would be charged for that. Thus you would need to be careful playing with this feature. Needless to say the reduction in storage transaction price and data geo-replication are two really important and beneficial features to Windows Azure customers and I’m sure that these will result in increased Windows Azure adoption. However, please be careful when it comes to geo-replication because you don’t want to get surprised when you receive your next Windows Azure bill . I hope you have found this information useful. If you think I have made some errors and provided some incorrect information, please feel free to correct me by providing comment. I’ll fix those issues ASAP.